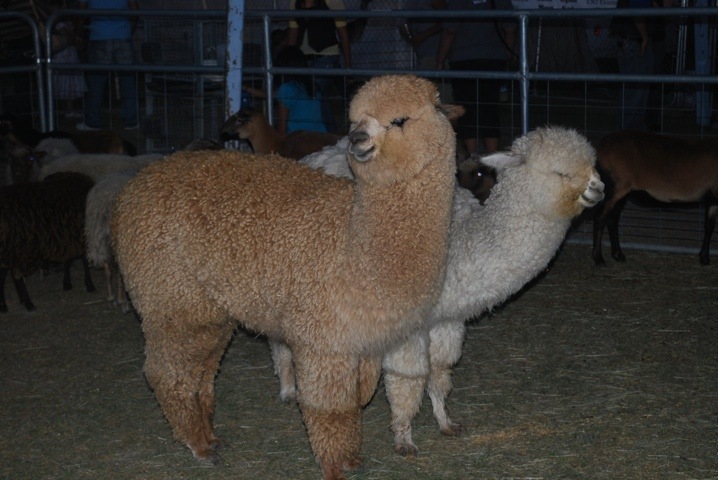 I don’t go to state fairs to see beautiful things or cute little barnyard animals. I go to watch people. And to eat unusual foods breaded, fried, and served on a stick. Every once in a while, my husband and I feel the need to attend the State Fair. I am not really sure why. Perhaps it reminds my husband of working on a dairy farm as a teenager. Perhaps it reminds me of horse shows and sheep auctions from my childhood. Or, it could just be that I read Charlotte’s Web too many times as a kid. 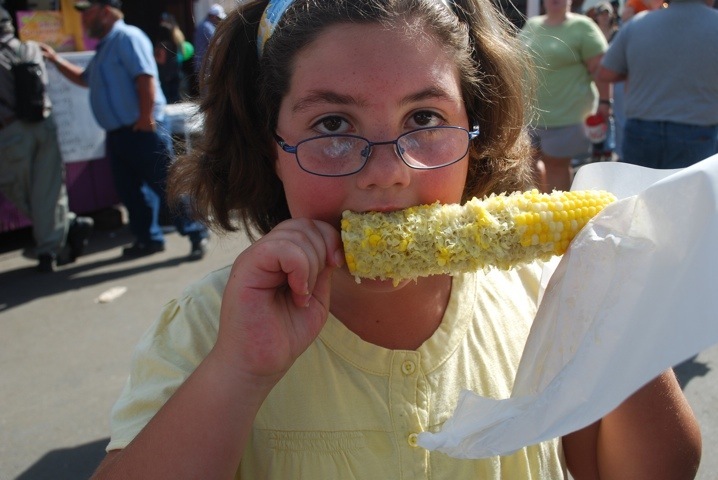 Whatever the reason, I must admit that the state fair is appealing on many levels. There are barns full of domesticated animals, food tents offering somewhat scary concoctions, buildings sporting gargantuan garden produce, and displays of exquisite folk art like quilting and crochet. I gotta admit, it is a fun place to visit. This year I had good incentive. I was asked to present a class on Italian cooking, which turned out to be very fun. The audience was great, and together, we survived cooking in the Indian Summer heat. I was also drafted to judge a “sweets” competition where competitors tried to come up with delicious entries using the ingredient Karo Corn Syrup. When else does one have the opportunity to consume 22 different desserts? At least in public? Judging was a blast. I need those winning recipes now….. So here are some random photos taken only because it amused me to do so. 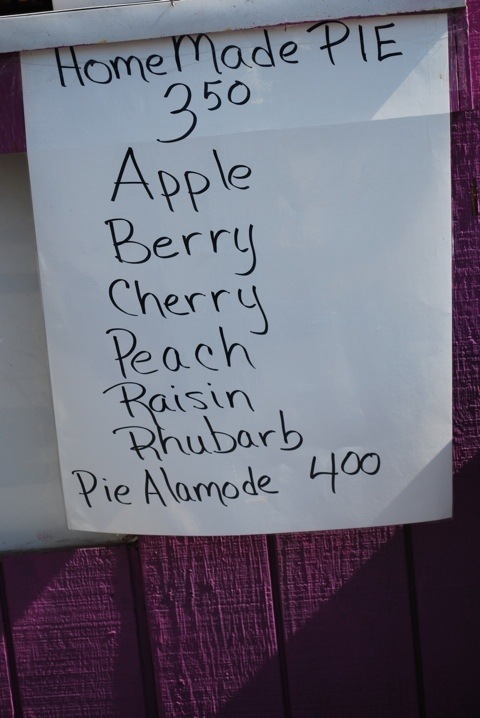 I love the idea of Pie Alamode. What is that, exactly? 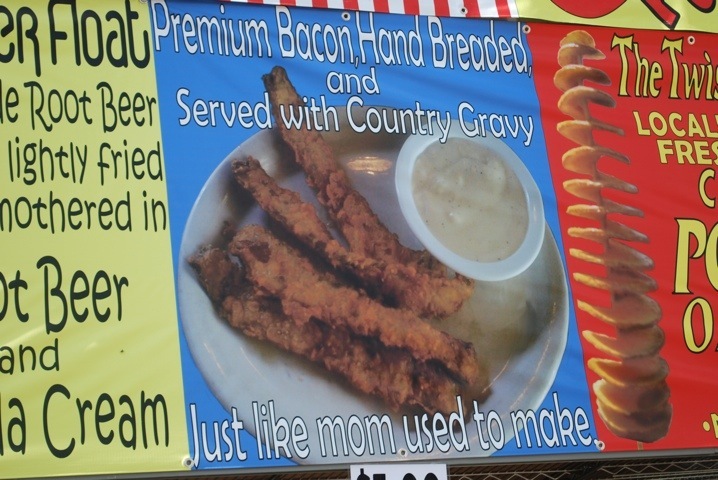 And here is another dream come true: deep fried bacon! 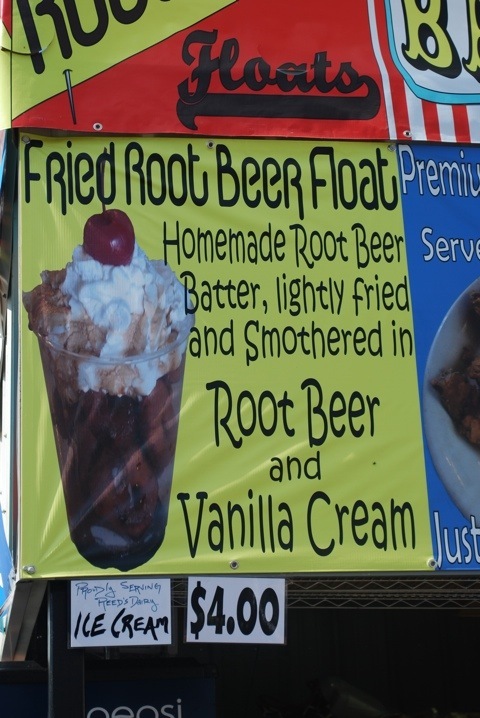 Even better–deep fried root beer floats? 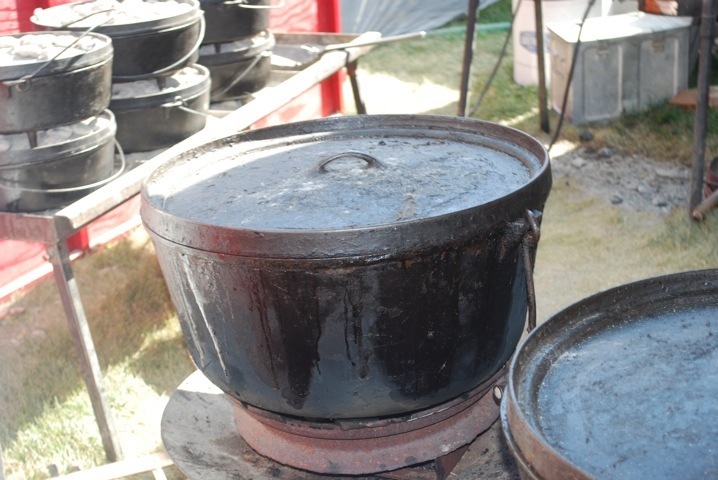 How about these Dutch Ovens? Apparently they are several hundred pounds a piece. They were the largest ovens I have seen. Could be comparable to the cast iron bathtub we hauled into our basement bathroom this year. Mmmm…..the Dutch oven dinner was the best thing there. 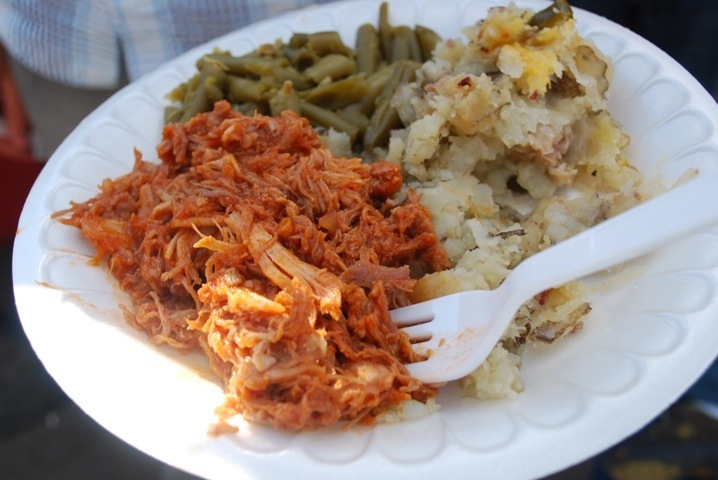 Jalepeno potatoes, BBQ pork, and green beans. 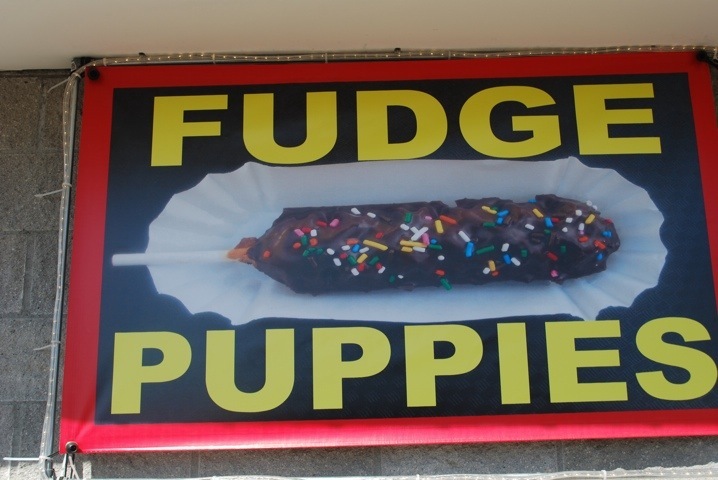 And don’t you want a fudge puppy? I do. Just so I can say I ate one. Here is the fudge puppy himself. No wait. A cow of some kind or another. I loved these chickens. They looked so comfy sitting on the wire fence. Mysteriously so. A very friendly goat. With huge horns. I would love to take these fluffy friendly guys next time I go backpacking. Ok. Maybe not “next” time. Maybe for the first time. I am a hike during the day sleep in a hotel kind of girl. My friend Blondie was so close to bringing this sweet girl home. 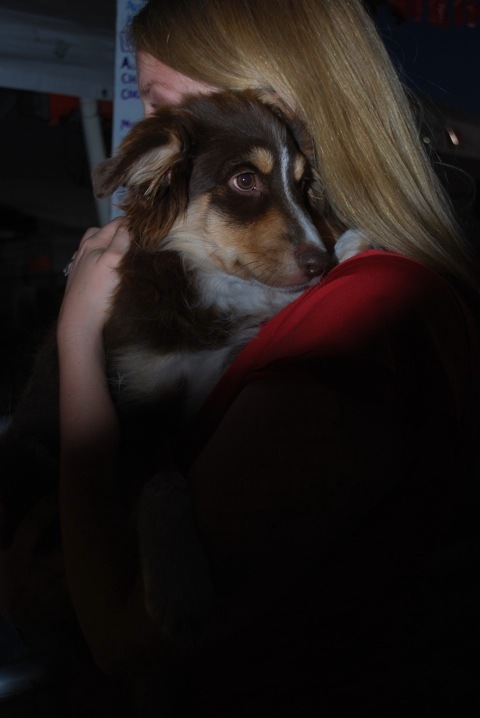 This Australian Shepherd will make someone very happy. Hope she went to a good home! Well, there is my random and inconsistent photo experience. What fun! We have just had our Ekka here in Brisbane. It is a once a year event where the country comes to the city. I work there as wardrobe mistress at the cotton and wool fashion parades, which means I go every day. I really enjoyed it this year. 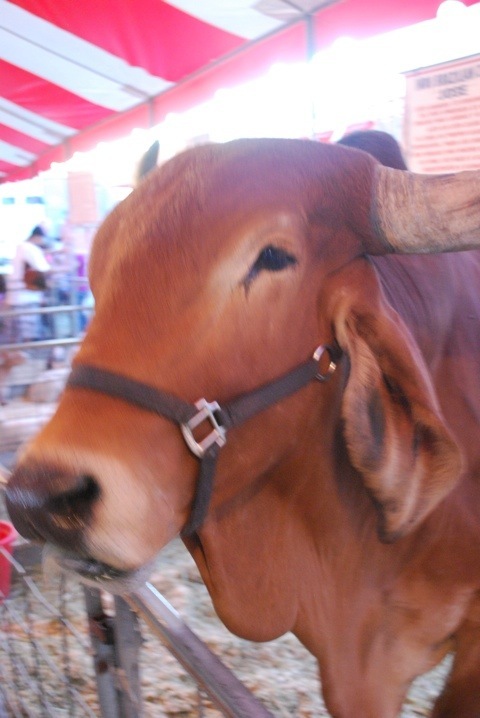 I did a couple of posts, one on the amazing chickens (called chooks at the Ekka) and the giant cattle ( called That’s Bull). We had fewer parades this year so I was able to wander about the fair – they can be a lot of fun – just like yours. 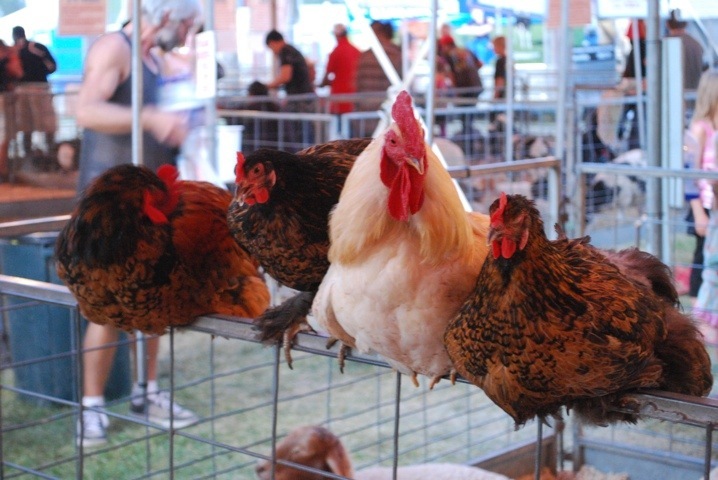 Oh…I think I remember your post with the chickens. I will have to go re-read! 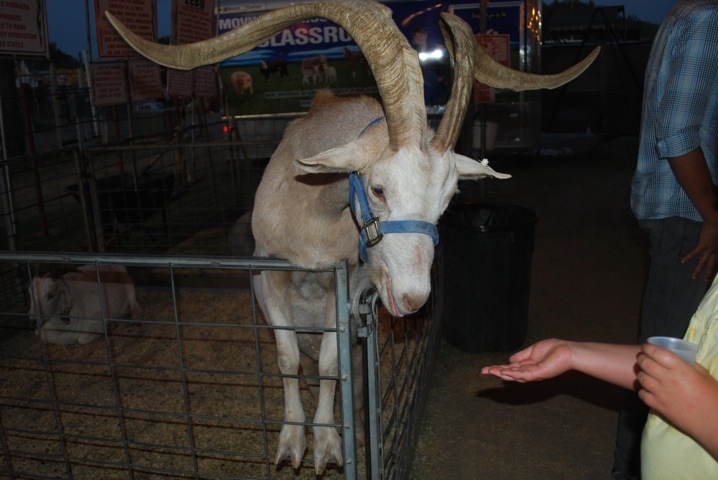 I don’t think we have parades at our fair….but they may crown a princess of some kind. $100 less out of $1,000,000? I thought you were really close to doing it.